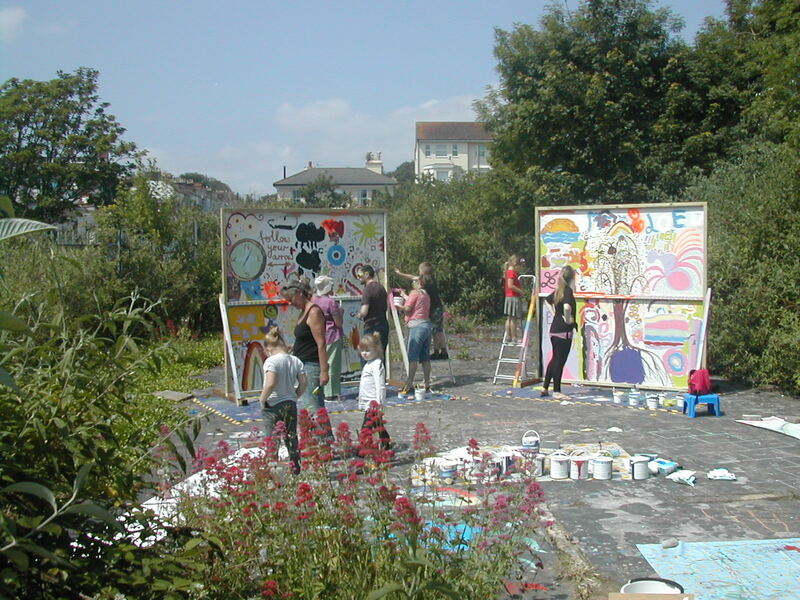 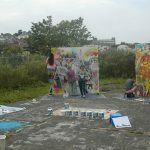 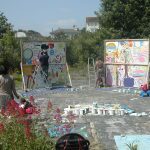 St Leonards artist Christina Macadam created on-site painting workshops in response to her personal feeling that there was a lack of creative community projects for children & adults who had never drawn or painted before or had ‘not done art since school’. 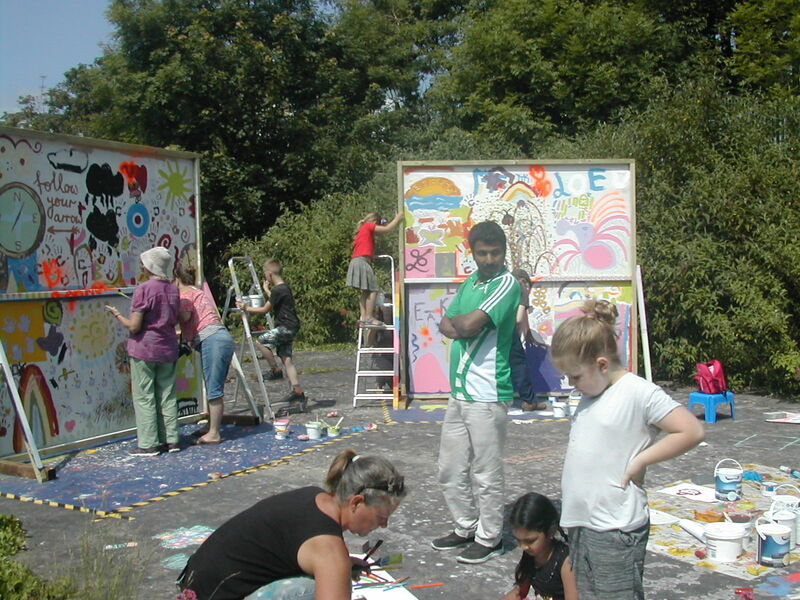 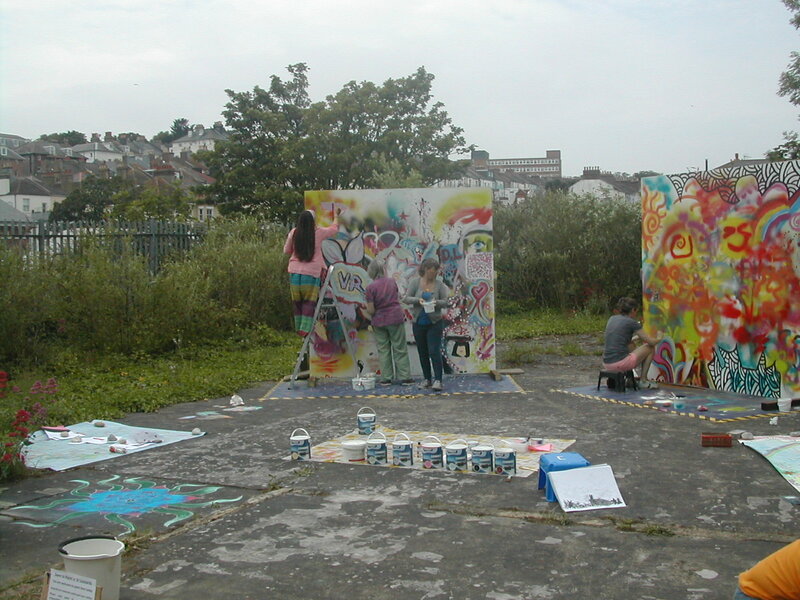 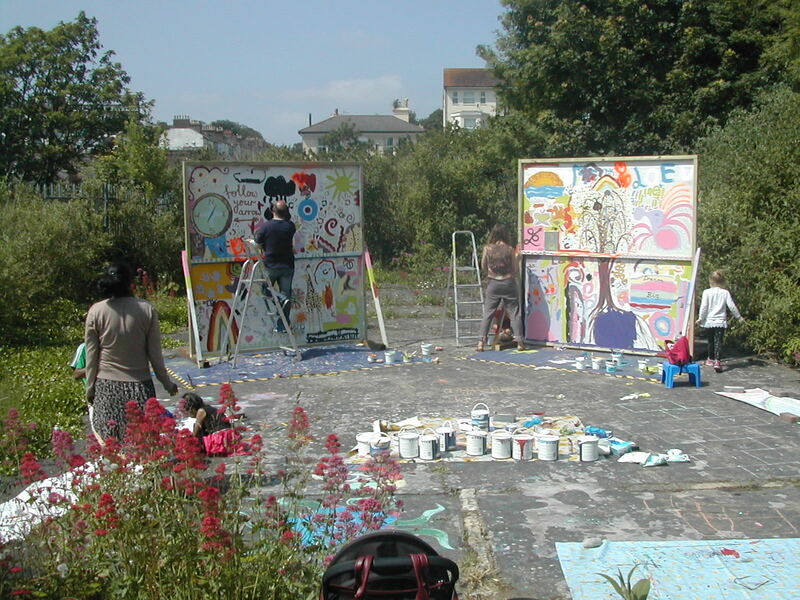 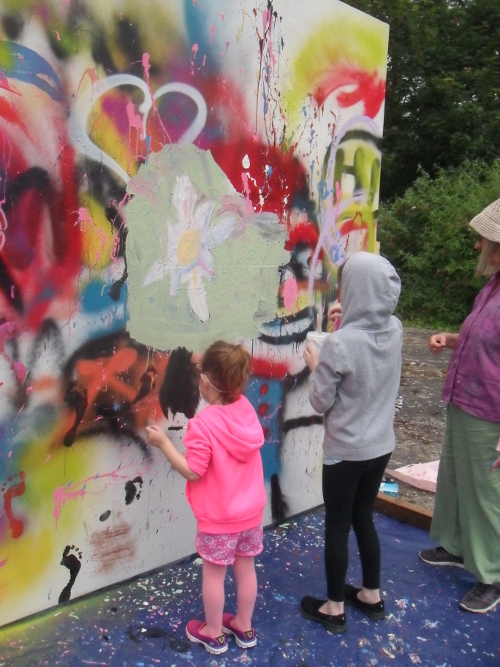 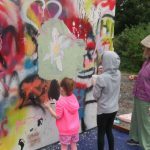 On 9 & 10 June, Macadam led two successful workshops where participants could paint on two large wooden structures. 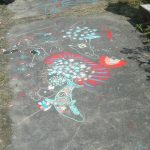 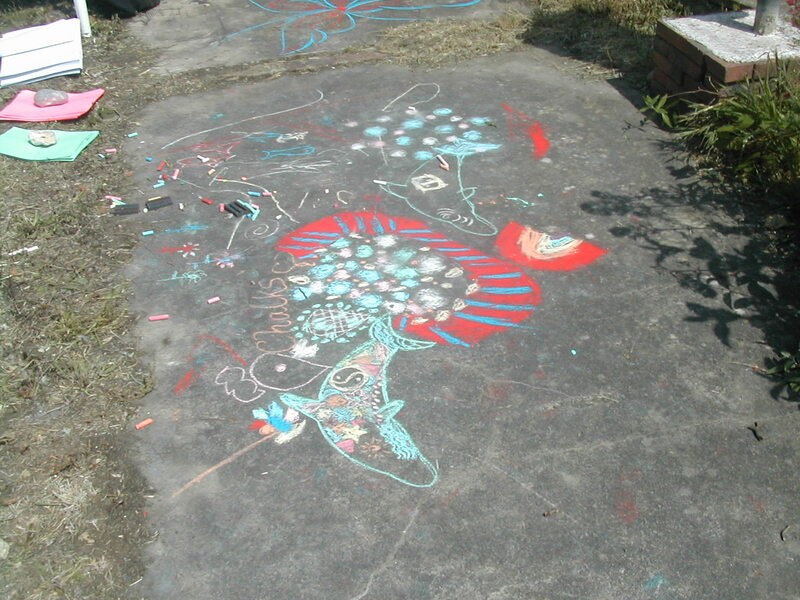 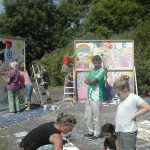 The workshops attracted over 50 people who created 4 unique colourful & vibrant paintings, chalk drawings & images on paper. 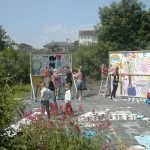 It was an event that brought local people & passers-by together to be curious, to experiment & to enjoy themselves as they created a collective installation.